← THE Sukkot T-shirt!!! Get one before they are gone!! 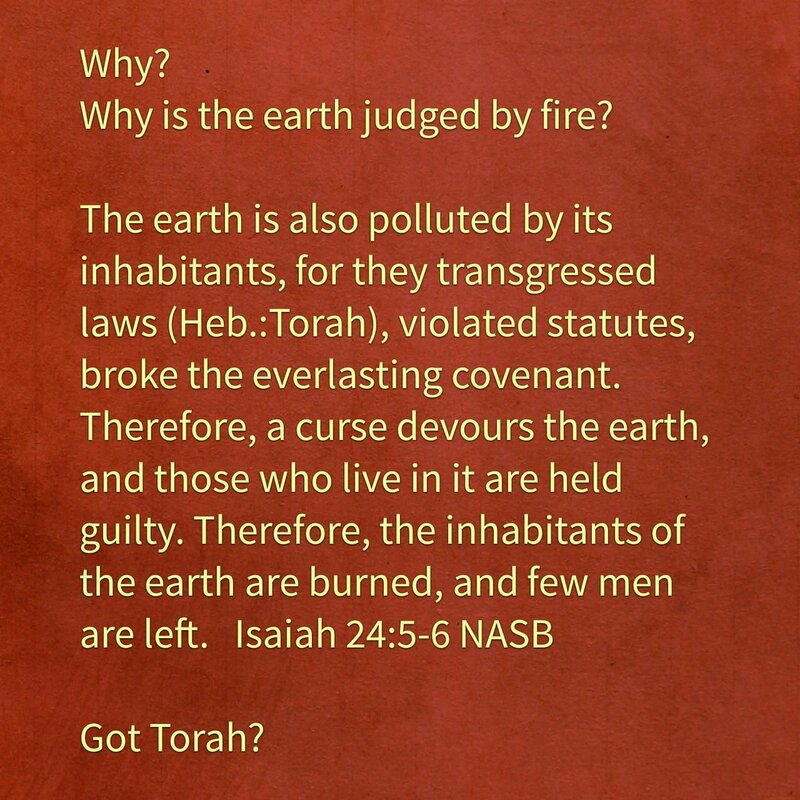 The earth is also polluted by its inhabitants, for they transgressed laws, violated statutes, broke the everlasting covenant. Therefore, a curse devours the earth, and those who live in it are held guilty. Therefore, the inhabitants of the earth are burned, and few men are left. This entry was posted in A Thought..., Visual Scripture and tagged end of days, fire, judgment, nuclear, prophecy, Torah. Bookmark the permalink. 3 Responses to A truth Chistendom MUST consider. Wow, there it is… straight out of scripture… Excellent Pete! I don’t worry about end time events . I can’t control one minute of time , we have been given a book ( Torah ) to live our lives by and Yeshua to guide us nurised by the Ruach . So in my thinking I am doing as Hashem has ask us to do , Matthew 6:25-34 why worry ? messianic jewish must be making big inroads if this is the reaction. however only God can overcome 2,000 years of violent anti-semitism.